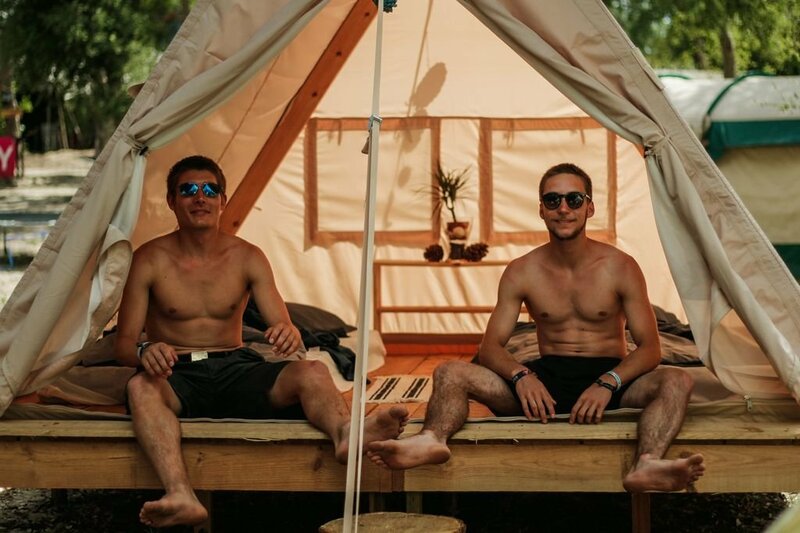 All our tents at our surf camp in Le Pin Sec are glamping-style, meaning that you don’t have to sacrifice comfort even though you’re away from home. 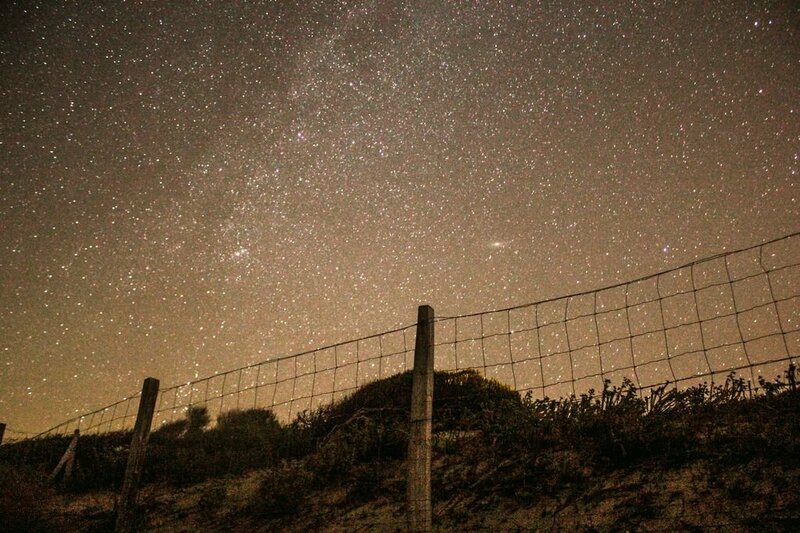 To make the most of your surf sessions, and to have a relaxing holiday, we know how important it is to have somewhere accommodating to sleep. That’s why all our tents in Le Pin Sec are kitted out with proper mattresses and wooden floorboards too. As much as we love the sand, it does get everywhere, and it’s sometimes nice to be able to get dressed without sandy feet! 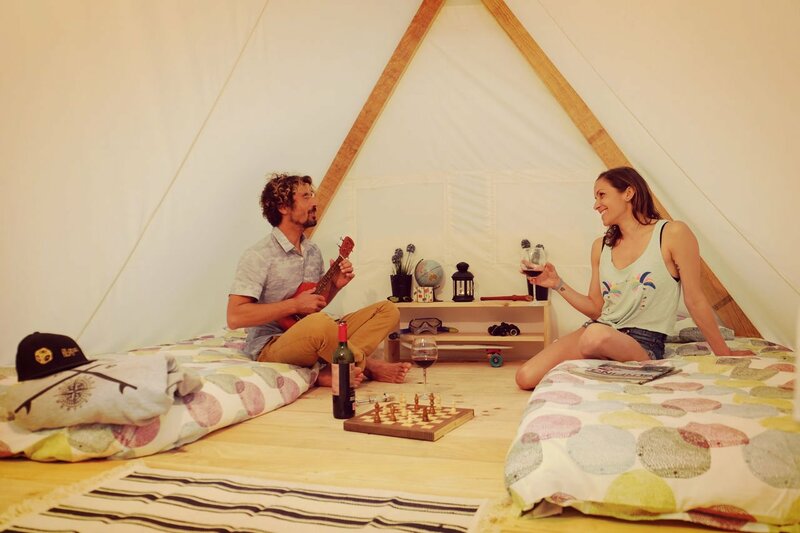 What’s more, our luxurious glamping tents are situated just metres from the beach, affording you a little extra sleep before any sunrise surf sessions.